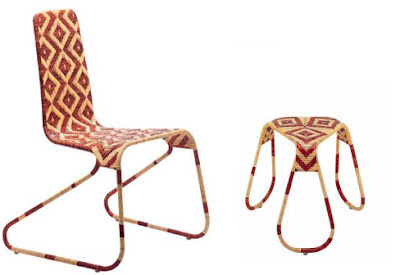 I’m a big fan of this woven wicker Flo collection by Patricia Urquiola for Driade. 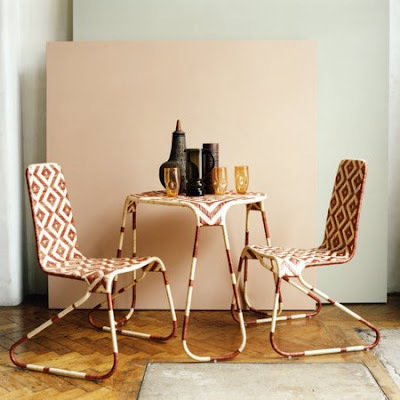 Photographer Katya de Grunwald did a shoot for an Elle Deco UK story on African Chic, putting the Flo chairs to stylish use, capturing a strong African style that avoids the clichÃ©d safari style so beloved of our guest houses and hotels. Take a look at more of Katya de Grunwald’s African Chic pics at her website. Also, take a look at a local hotel that manages to be African without the clichÃ© in this earlier post .